I noticed this marking on a Model 69A circa 1938-1941. It appears to be a "W" sideways in an oval stamped behind the standard WP in an oval on the receiver. I believe it is on that Model 69A for the same reason Winchester stamped a "W" on most other models in the February 1939 - February 1941 timeframe. It was a quality control check of the new Dulite bluing formula. I have found the "W" stamp on many different models, but predominantly on the Model 94 Carbines. I wondered about that but it is the only one I have seen after viewing thousands of 69A's. I am familiar with the Model 94 "W" but have you ever seen the "W" inside an oval? 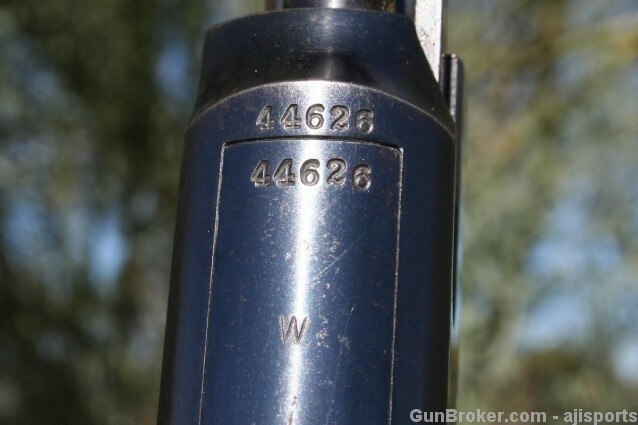 The "W" is not inside an oval on the center fire rifle models that I have observed it on, but base on when you state that the Model 69A you found was manufactured, it is almost the only thing that makes sense. We do not know that the W mark is factory. 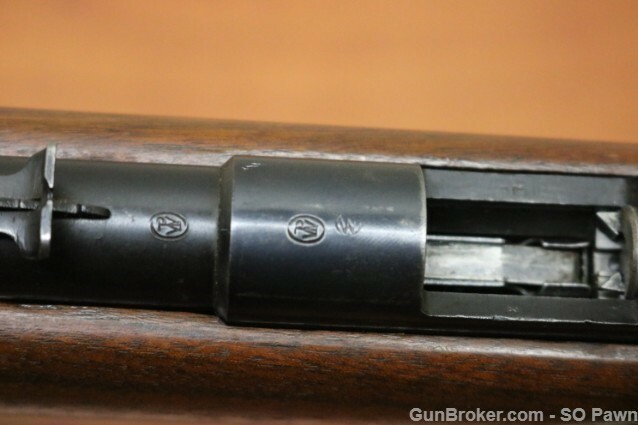 I agree with you Bert about the logic of the time frame although the flaking problem was already solved on the rim fire bolt action receivers prior to the introduction of the Model 69. The 56/57 definitely had the problem with flaking but the rust bluing method used on the early 69 did not. The change to Dulite occurred on the 69A receivers in the 1938/1939 time frame so it is certainly coincidental. The photo seems to show a "halo" around the WP proof but not the "W". Out of curiosity I bought the rifle and will post some better photos when it arrives. 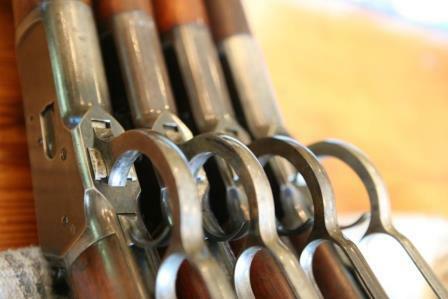 The Model 61 rim fire rifles are marked with the "W" stamp on the bottom side of the receiver between the serial number and the trigger guard. I have never seen one with an oval around the W.
What Bert said was my first thought as well...and it seems to be the most intelligent possibility for the reason stated at this point in time.